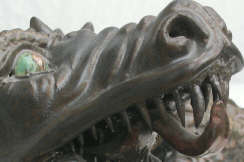 Clive’s latest public art project launched this May 2011. 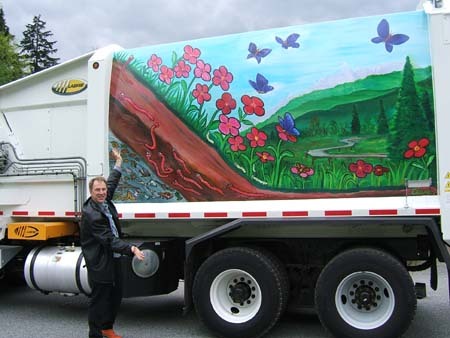 Called Compost Happens the project was commissioned by the City of Port Moody. “Green waste is composted with help from the worms to produce rich red/brown soil for growing flowers. The idea of transformation is reinforced with the life-cycle of the butterfly. Here we see some caterpillars, a chrysalis and butterflies. It was important for me to show the transformation of something ugly to something beautiful, so I used the butterflies as a metaphor. 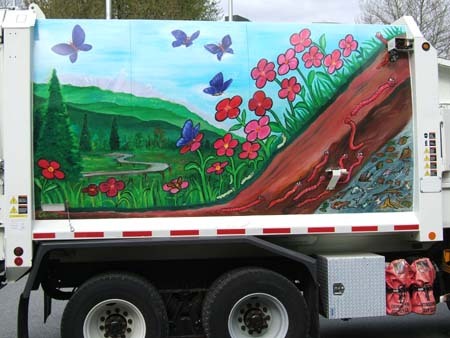 Hidden Encounters was commissioned by the City of Port Moody in 2008. 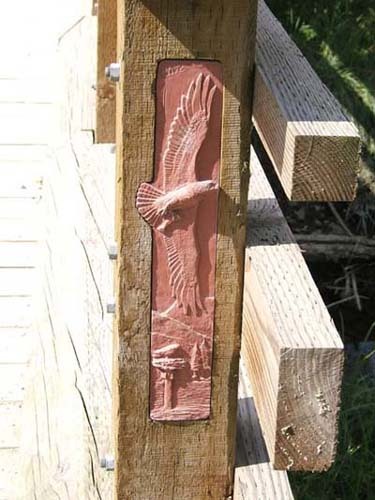 It depicts three relief sculptures highlighting local flora and fauna inset into the Shoreline Bridge posts along the Shoreline Trail in Rocky Point Park. 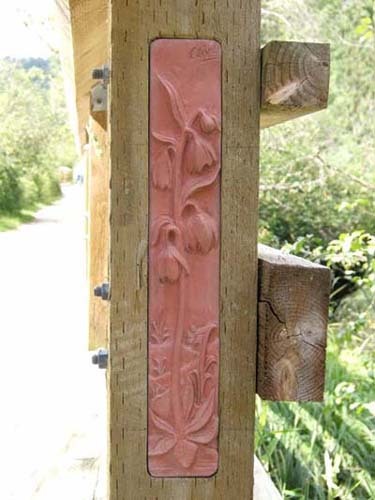 The panels depict chocolate lilies which flower in Spring, ospreys who migrate from South America to breed here in the summer months, and the third panel is a Sitka Spruce not often seen in the Lower Mainland. 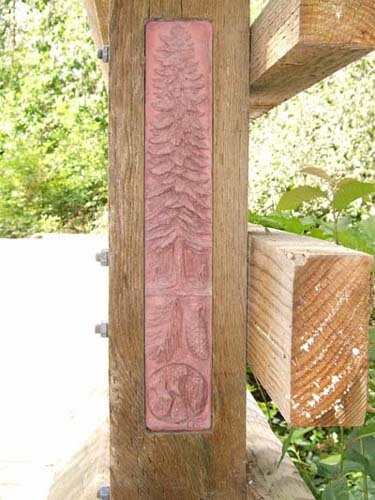 “The three designs for the panels were inspired by my desire to enhance enjoyment of the park by revealing parts of the environment that are not always apparent,” says Clive.